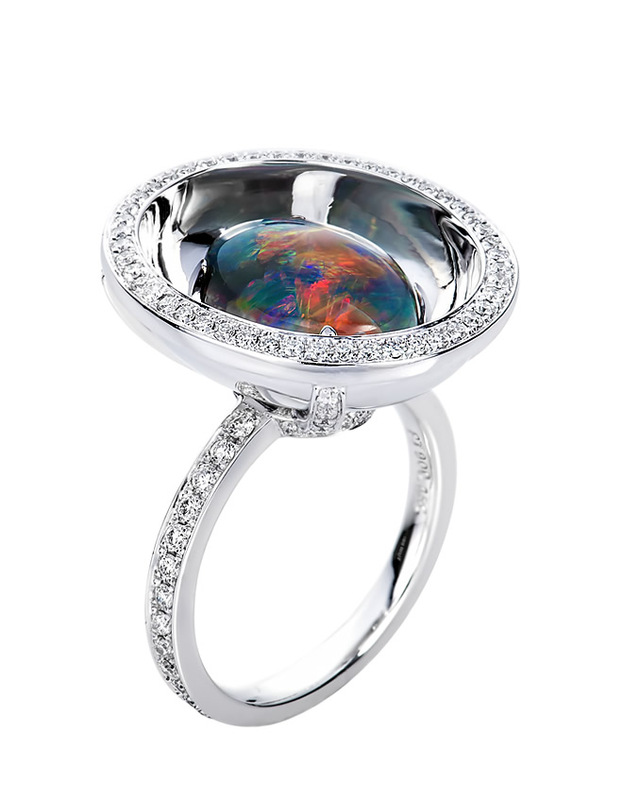 The "Mirror Ring" black opal and diamond ring set in platinum. John Ford won an astounding two Spectrum Awards in the American Gem Association's 2016 Spectrum Awards. Ford won platinum honors in both the evening wear division and the day wear division. The "Mirror Ring" black opal and diamond ring from the Lightning Ridge Collection by John Ford contains 3.65 caret black opal and is accented with .69 carets of fine white diamonds set in platinum. 2013 Spectrum Awards Fashion Editor's Choice.